Home>Do Low-Cost Seismographs Perform Well Enough for Your Network? 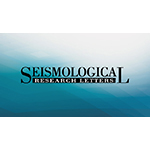 Findings published in Seismological Research Letters. 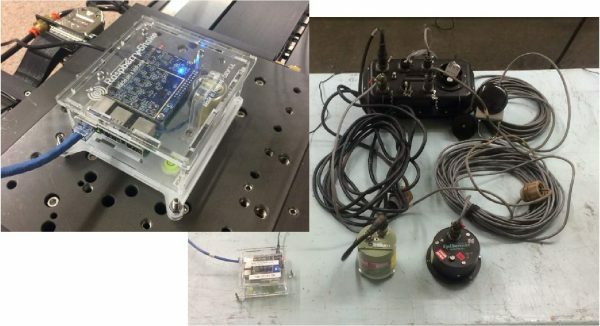 Seismologists have recently begun utilizing low-cost nodal sensors in dense deployments to sample the seismic wavefield at unprecedented spatial resolution. 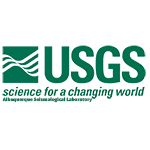 Earthquake Early Warning Systems (EEWS) and other monitoring networks (e.g. wastewater injection) would also benefit from network densification; however, current nodal sensors lack power systems and/or real-time data transmission required for these applications. A candidate sensor for these networks may instead be a low-cost, all-in-one package such as the OSOP Raspberry Shake 4D (RS-4D). The RS-4D includes a vertical component geophone, 3-component accelerometer, digitizer, and near real-time miniSEED data transmission, and costs only a few hundred dollars per unit. Here, we step through instrument testing of three RS-4Ds at the Albuquerque Seismological Laboratory. 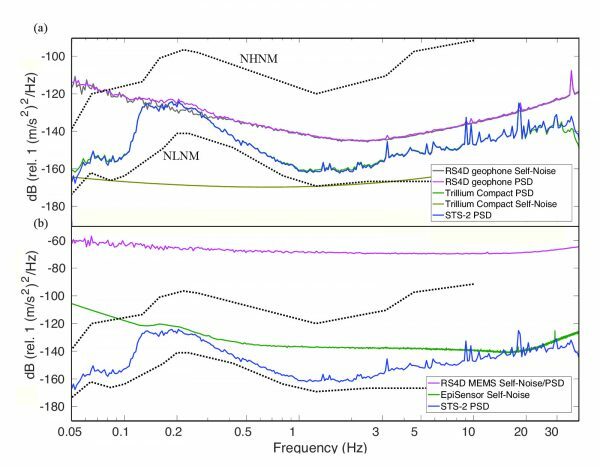 We find the geophones have sensitivities constrained to within 4% of nominal, but that they have relatively high self-noise levels compared to the broadband sensors typically used in seismic networks. To demonstrate the impact this would have on characterizing nearby events, we estimate local magnitudes of earthquakes in Oklahoma using Trillium Compact broadband sensor data from U.S. Geological Survey (USGS) aftershock deployments as well as 23 Raspberry Shakes operated by hobbyists and private owners within the state. 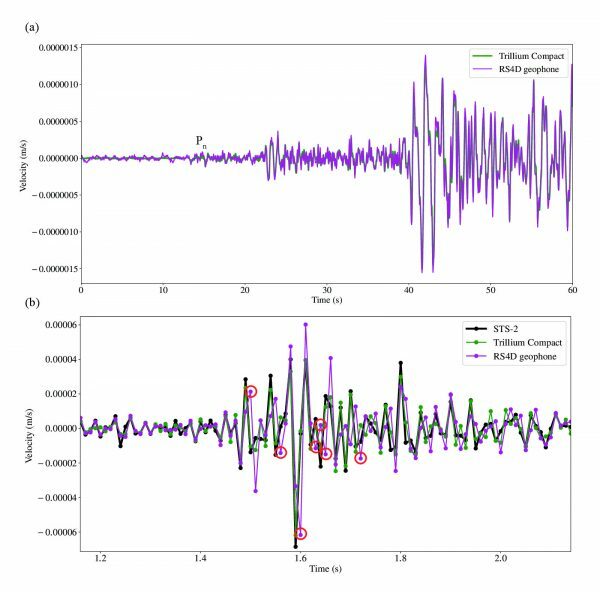 We find that for ML 2.0-4.0 earthquakes at distances of 20-100 km from seismic stations, the Raspberry Shakes require events of magnitude ~0.3 larger than the broadband sensors in order to reliably estimate ML at a given distance from the epicenter. We conclude that RS-4Ds are suitable for densifying backbone networks designed for studies of local and regional events. Figure 1. A Raspberry Shake 4D (left and upper inset) compared to the equipment used in a typical U.S. Geological Survey aftershock deployment. Both systems incorporate a seismometer, 3-component accelerometer, 24-bit digitizer, and timing information. However, the Raspberry Shake 4D is over an order of magnitude less expensive. Figure 2. 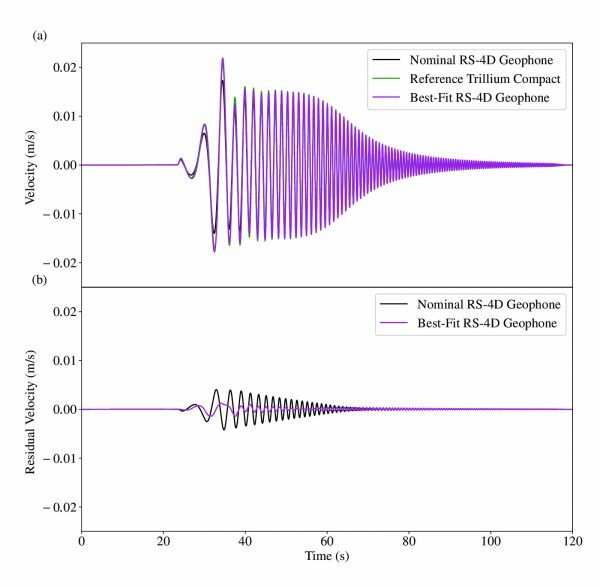 Self-noise estimates of the Raspberry Shake 4D (RS4D) vertical component geophone (a) and accelerometer (b) using a 6-hour time window and the methodology of Sleeman et al. (2006). For comparative purposes, we have included the power spectral density estimates over the same 6-hour window for a variety of collocated seismic instruments, the median self-noise models for a Nanometrics Trillium Compact (Ringler and Hutt, 2010) and a Kinemetrics EpiSensor (Ringler et al., 2015), as well as the New High and Low Noise Models (NHNM/NLNM; Peterson, 1993). Figure 3. 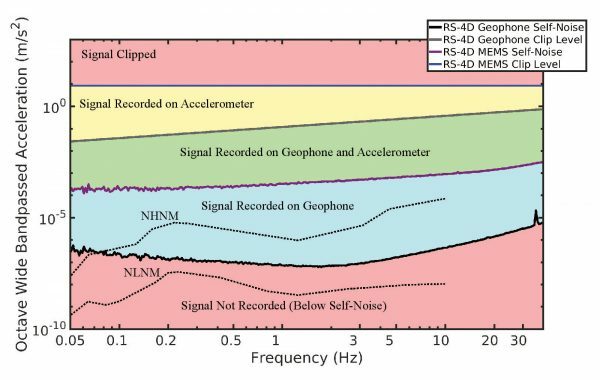 Self-noise and clip levels for the Raspberry Shake 4D geophone and vertical accelerometer plotted in one-octave acceleration amplitudes as a function of frequency (after Steim, 1986). For reference, the Peterson (1993) New High and Low Noise Models (NHNM/NLNM) are additionally plotted. At 1 Hz, the geophone has 130 dB of dynamic range, while the accelerometer has 94 dB. Figure 4. a) An example of the 0.1-10 Hz shake table swept sinusoid test used to determine the sensitivity, damping and free-period of the Raspberry Shake 4D (RS-4D) geophone. The waveforms here have been filtered between 0.3 and 2 Hz in order to isolate the corner frequency of the RS-4D geophone (~0.5 Hz). b) The response of the RS-4D is inverted for by minimizing the residual its waveforms with a Nanometrics Trillium Compact reference sensor, with a known response. Figure 5. a) The P-wave arrivals of a regional (7.4 degrees) MW 4.6 event in Oklahoma recorded at Albuquerque Seismological Laboratory (ASL) on a co-located OSOP Raspberry Shake 4D (RS4D) and Nanometrics Trillium Compact. The first phase arrival (Pn) is labeled for reference. b) The S-wave arrival of a MD 1.7 local event recorded on three co-located seismometers in the surface vault of ASL . The Streckeisen STS-2 and Trillium Compact were recording on a Q330 digitizer with known timing accurate to <<1 msec (Kromer, 2006). Red circles indicate samples from the Raspberry Shake 4D that appear to have a one sample (10 msec) lag compared to the other instruments following the arrival of larger amplitude phases. Figure 6. a) U.S. Geological Survey (USGS) aftershock seismic stations (green triangles) and Raspberry Shakes (magenta triangles) which recorded local Oklahoma and Kansas earthquakes (blue circles) between 1 January 2017 and 1 April 2018. 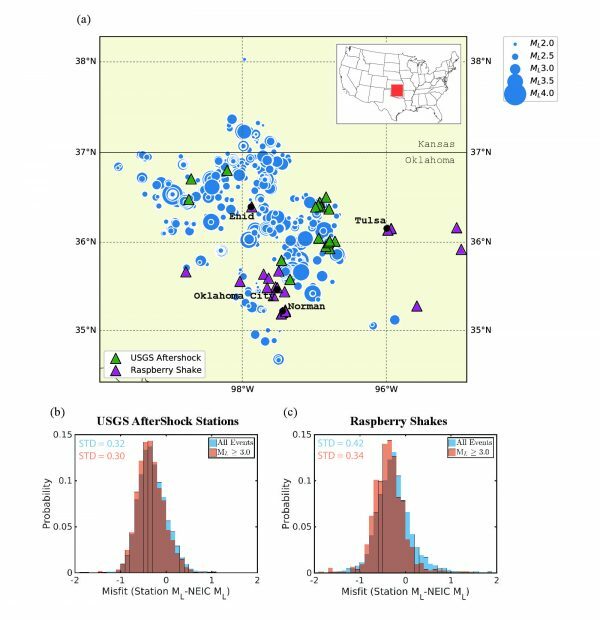 Histograms of the misfit between individual, vertical component station local magnitude (ML) estimates compared to the reported National Earthquake Information Center ML are shown for both the USGS aftershock deployment stations (b) and Raspberry Shakes (c) as well as the standard deviation (STD) of the misfits. Figure 7. 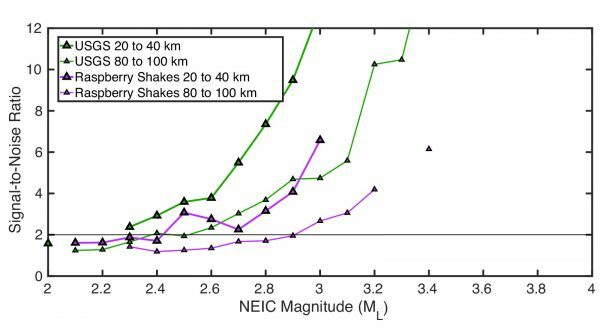 Median signal-to-noise ratios for U.S. Geological Survey (USGS) aftershock deployments and Raspberry Shakes as a function of National Earthquake Information Center (NEIC) local magnitude estimates. Station distances of 20 to 40 km (large triangles) and 80 to 100 km (smaller triangles) from the event epicenters are plotted. A SNR of 2 (black line) is assumed to be required in order to record the ground motion with high fidelity. Ideal candidate for use in densification of seismic networks targeted at recording local or regional events. Click here to download the complete paper from Anthony et al. and published in Seismological Research Letters. From all of us at Raspberry Shake we would like to thank each of the authors of this paper. This is the first time one of our creations has ever been the subject of a peer-reviewed scientific publication at this level, so this is a very emotional moment for all of us on the Raspberry Shake Team. We work hard, long hours on Raspberry Shake. We pour ourselves into making Raspberry Shake as good as possible, so we are very grateful to the scientists who took the time to quality control and study the Raspberry Shake. We are humbled by their conclusions and, most importantly, we are inspired to continue.